Angela Mitchell will make her solo vocal debut with the Colorado Symphony on May 2 and 3, singing “Heavensward” on the program Distant Worlds: Music from Final Fantasy. Angela Mitchell and the Front Range Chamber Players will be reprising their performance of Jenni Brandon’s “Sun Songs” on the Second Tuesdays at Trinity series. The concert is Tuesday, October 9 at 7:30pm at Trinity Presbyterian Church, located at 7755 Vance Drive in Arvada, Colorado. Tickets are available for purchase here as well as at the door the evening of the performance. 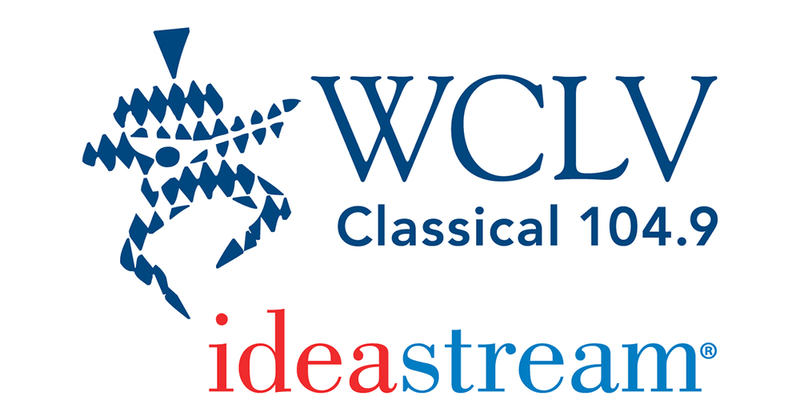 Margaret Brouwer's oratorio Voice of the Lake, for which Angela Mitchell sung the soprano solo in the world premiere, will air in full on two episodes of WCLV's "Innovations." Parts I & II will air Sunday, March 4 and Parts III & IV will air Sunday, March 11. Both shows begin at 9pm, hosted by Mark Satola. Angela Mitchell will return to the Akron Symphony for the third consecutive year to host and sing in a pair of education concerts. The program, called "Link Up: The Orchestra Rocks," is developed by Carnegie Hall's Weill Music Institute. There are concerts at 9:45am and 11:15am on Tuesday, March 13 at the Akron Civic Theatre. Listen: "Voice of the Lake"
On November 12, 2017, Margaret Brouwer's oratorio had its world premiere at the Breen Center for the Performing Arts in Cleveland. Angela Mitchell sang the soprano solo and was praised by Classical Voice North America for her "focused, round sound that carried clearly into the hall." The Blue Streak Ensemble, Cleveland Institute of Music Children's Choir, and the Oberlin Musical Union were conducted by Domenico Boyagian. Listen to the entire performance here. Review: "Pulled high notes out of nowhere"
Singing with a focused, round sound that carried clearly into the hall, soprano Angela Mitchell pulled high notes out of nowhere. The world premiere of this new oratorio by Margaret Brouwer took place on November 12 at the Breen Center for the Performing Arts. Read the entire review here. Great Lakes Today is a regional journalism collaborative focused on covering the Great Lakes and the people who live around them. "Voice of the Lake" was the subject of this recent feature, for which Angela Mitchell spoke with reporter Elizabeth Miller. Angela Mitchell stars in a brand new work by Margaret Brouwer, Voice of the Lake. 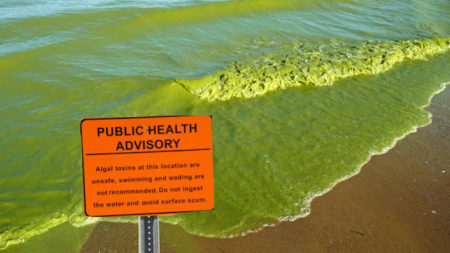 ClevelandClassical.com's Samantha Spaccasi published a feature about the oratorio, which brings to life the struggle between the recreational and natural joys of Lake Erie and the commercial, agricultural and political issues that threaten its ecological health. Angela will be the soprano soloist. The performance is Sunday, November 12 at 3:00 p.m. at the Breen Center for the Performing Arts in Cleveland. Read the entire piece here. A new Cleveland theater company announced its arrival in dramatic style in February. Theatre in the Circle presented the beloved musical "Jacques Brel Is Alive and Well and Living in Paris" to three sold-out audiences at their University Circle home. Angela will perform the role of Musetta in Puccini's La Bohème, presented by The Cleveland Opera on Saturday, June 10 at 7:30pm at the Ohio Theatre. In advance of the performance, she sat down with ClevelandClassical.com's Mike Telin in this preview. It isn’t every day that Theatre in the Circle’s director, Bill Corcoran, gets a text from his leading lady asking if he’ll bump the time of a rehearsal so she can take a gig singing grand opera. So on June 10, Angela will rehearse the bold and brassy Agnes from 10 a.m. until 2 p.m. and then sing the role of Musetta in The Cleveland Opera’s production of La Bohème that evening. She’s also the overnight shift host/announcer at WCLV Classical 104.9. She does all this without batting an eyelash or breaking a sweat. And oh yeah, she’s taking ballet classes at the Beck Center for the Arts. Ms. Mitchell made her Theatre in the Circle debut last February in a sold-out run of “Jacques Brel Is Alive and Well & Living In Paris,” but started building her musical theatre resume as Emma in Jekyll & Hyde at French Creek Theatre and as Cinderella in Lorain Community Music Theater’s production of Into The Woods. Soprano Angela is classically trained and credentialed with both Bachelor’s and Master’s degrees in Vocal Performance and has extensive experience in opera. Her star turn as Agnes in “I Do! I Do!” will likely be her Clevelandmusical theatre swan song since she and her husband, Brett Mitchell, associate conductor of the Cleveland Orchestra, move to Denver this fall as Brett takes over the Music Director’s reins of the Colorado Symphony. Get Your Tickets for "I Do! I Do!" Published May 1, 2017 in the May newsletter of Theatre in the Circle. On Saturday, June 10 at 7:30pm, Angela will appear as Musetta in Puccini's La bohème, her company debut with The Cleveland Opera. This will be her second time performing the role, after tackling it in 2013 with Kingwood Summer Opera. This is a new, fully staged production complete with chorus, costuming, sets, staging, and The Cleveland Opera Orchestra, all under the baton of Grzegorz Nowak. Sung in the original Italian with English translation projected, it will take place at the historic Ohio Theatre in PlayhouseSquare, Cleveland. Role debut: Agnes in "I Do! I Do!" Angela will return to Theatre in the Circle to perform the role of Agnes in "I Do! I Do! ", a musical by Harvey Schmidt with book and lyrics by Tom Jones. The two-character story spans fifty years, from 1895 to 1945, as it focuses on the ups and downs experienced by Agnes and Michael Snow throughout their marriage. Thursday, June 22 at 7:30 p.m.
Saturday, June 24 at 2:00 p.m. & 7:30 p.m.
Sunday, June 25 at 2:00 p.m.
"The singing in the four-actor show was sublime, as was the interplay between the actors. Angela Mitchell and Mason Stewart were the epitome of youth and optimism as the younger lovers, while the older and wiser Marc Moritz and Tina D. Stump, both Equity actors, projected a tender world-weariness." Angela Mitchell just wrapped up a sold-out run of "Jacques Brel is Alive and Well and Living in Paris," presented by Theatre in the Circle. Check out these clips from the show. Read more at LorainCounty.com and The Chronicle-Telegram. Angela Mitchell will appear as Woman #2 in Jacques Brel is Alive and Well and Living in Pairs, presented by Theatre in the Circle. This musical revue by Belgian songwriter Jacques Brel premiered in 1968 and has since been produced thousands of times all over the world. Jacques Brel will be presented in three performances: February 10 & 11 at 7:30 p.m. and February 12 at 2:00 p.m. All shows are in the ballroom of the historic Judson Manor, 1890 East 107th Street in University Circle, Cleveland.